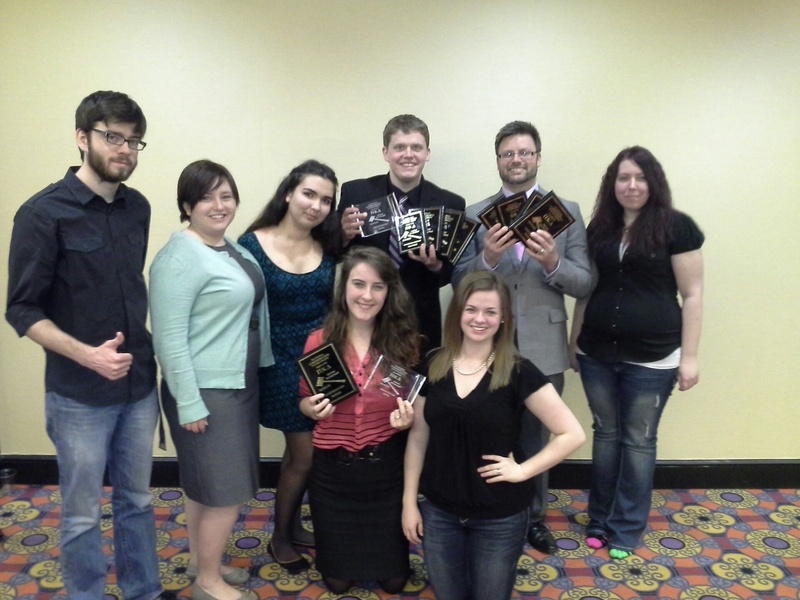 The McKendree University speech and debate team took home 15 awards at three national tournaments: the National Parliamentary Tournament of Excellence (NPTE), the National Parliamentary Debate Association Championship Tournament (NPDA) and the National Comprehensive Tournament (NCT). Twenty-nine colleges and universities, including the University of California at Berkeley, the University of Oregon and Texas Tech University, attended the NPTE, hosted by Northern Arizona University on March 15-18. Representing McKendree were seniors Brent Nicholson and Brad Thomas. Nicholson and Thomas went 7-5 in prelims. They won their first three elim rounds, defeating the University of Nevada, Texas Tech University and the University of Colorado. They finished as the 10th place team at the tournament. Fifty-two colleges and universities, including Rice University, Pepperdine University and the University of Missouri, attended NPDA which was also hosted by Northern Arizona University on March 20-23. 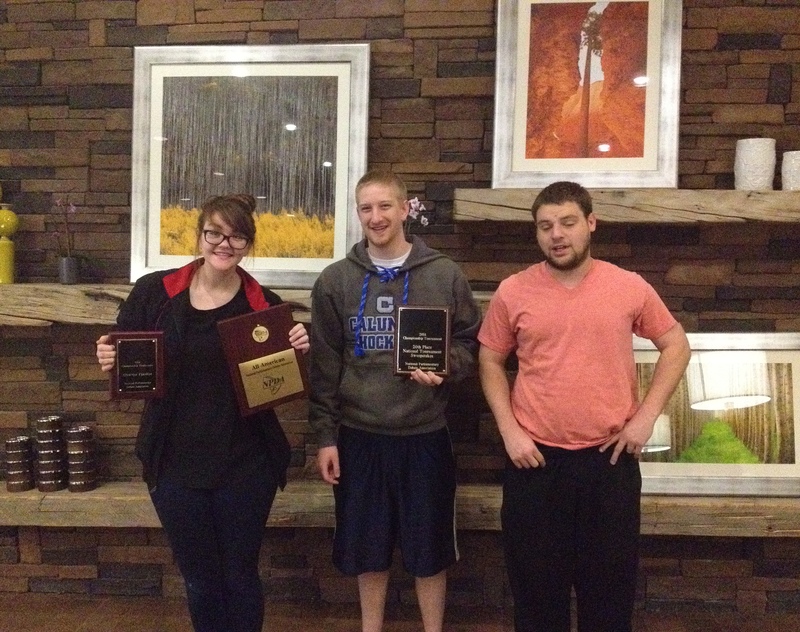 Representing McKendree were seniors Sarah DeBruyckere, Brent Nicholson and Brad Thomas. Nicholson and Thomas posted a perfect 8-0 record in prelims – the first time a team from McKendree has gone undefeated at NPDA. After receiving a bye in triple-octofinals, they lost in double-octofinals to finish in 17th place. DeBruyckere and Phillip Kraft, her hybrid partner from Loyola University, finished with a 5-3 prelim record. In elimination rounds, they beat Carleton College, Concordia University and William Jewell College. They finished as quarterfinalists (5th place) – the second best finish in school history. Nicholson was recognized as the 13th best speaker at the tournament (from a field of more than 300 debaters). DeBruyckere was also selected to the All-American team, becoming just the 3rd debater from McKendree to receive this honor. Finally, despite only fielding two teams, McKendree took 20th place in team sweepstakes. juniors Rebecca Blake, Josh Fleming, Spencer Marcum and Caleb Vines; sophomore Cassie Kuberski; and first-years Mary Makarishcheva and Katie Reining. Blake and Fleming advanced in two events: duo improvisation and duo interpretation. They took 3rd place in duo improvisation and finished as semifinalists (7th place) in duo interpretation. Fleming advanced in three other events as well: after dinner speaking (7th place), prose (7th place) and programmed oral interpretation (13th place). Additionally, Marcum advanced in four events: poetry (7th place), prose (7th place), programmed oral interpretation (13th place), and informative speaking (13th place). Finally, Fleming took 7th place in individual sweepstakes. McKendree will conclude its season by competing at the American Forensic Association’s National Individual Events Tournament on April 4-7.